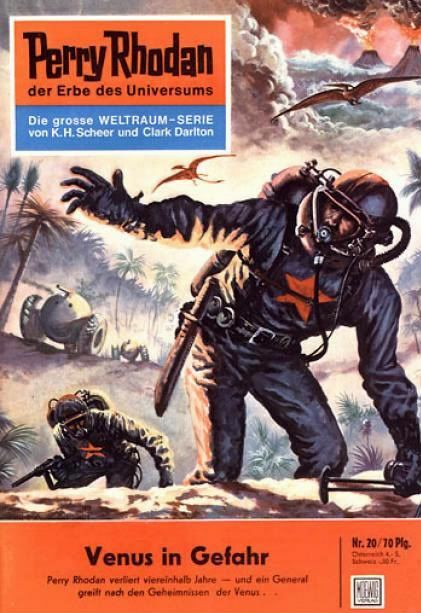 The most popular science fiction strip to come out of Germany, Perry Rhodan im Bild (Perry Rhodan in Pictures) debuted in 1968, following closely the novels of the immortal Terran Overlord, drawn by Kurt Caesar. With a large and complicated cast of characters, after twenty seven issues the feature was streamlined and renamed to Perry, in an effort to bring in new readers not familiar with the earlier books. Drawn now in a bolder "Marvel Comics" style, the new look was illustrated by Italian artist Giorgio Gambiotti from the Giolitti Studio in Rome, with some innovating sleek compositions. With many of these later stories written by Dirk Hess, Perry traveled the universe accompanied by a collection of beautiful women which helped it to be reprinted in Italy, France, and Israel. At the height of its popularity, Perry was released in movies, television, and long-playing records in Germany. But after one hundred twenty nine issues, Perry, like other German comics, became victim to the higher costs of production with its last stellar issue hitting the newsstands in the summer of 1975. Fortunately, I've heard from a friend recently that the fan-favorite title is now back in print with all new adventures. Marvel's "She-Devil with a sword" made her first appearance in Conan the Barbarian #23, February 1973, as the only warrior woman worthy to cross swords with Robert E. Howard's most famous character. A beautiful fire-haired damsel, she ended up in the royal palace after her family was needlessly slain by soldiers who brought her to the king as a trophy of war. Sonja eventually killed the sovereign after she spurned his many advances. Now having to flee the majestic Kingdom of Hyrkania, she took up pillaging as her trade in her many adventures chronicled in Conan and Marvel Features before getting her own title in 1975. 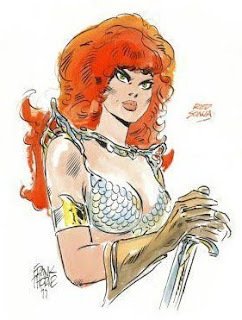 Much of the success of the comic was due to Frank Thorne's striking image of the lovely heroine, scanty clad in her delightful chain-mail bikini. The artist's extensive research and attention to detail managed to capture the very essence of Howard's novels with its exotic landscapes, weird people, mystery and magic. Once Thorne left Red Sonja, the title floundered under less talented creators for a few years before its cancellation and a failed movie adaptation. Recently however, revived under the Dynamite Entertainment label, the character lives on in new adventures with a big budget major motion picture soon to be in production, for a new generation of fans. 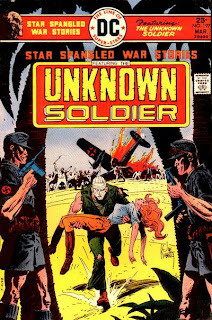 Kanigher and Kubert's war-torn creation appeared first in Star-Spangles War Stories #151, in the summer of 1970. Enlisting with his older brother in World War II, the man known as the Unknown Soldier, watched as his sibling sacrificed his life to protect him from a Japanese grenade that horribly disfigured the younger soldier's face. This survivor became the United States Intelligence most valued undercover agent with his mastery of disguises and sensitive covert missions behind enemy lines. Such a thorn in the flesh was this lone American, that Hitler pitted a special Nazi operative named the Black Night against our Unknown Soldier until the Fuhrer's demise at the hands of the clandestine hero. After the war, the Unknown Soldier continued to serve U.S. interests in other major conflict around the globe, as the perfect weapon with no name or face. Premiering in the Daily Sketch on May 2, 1966, The Seekers was a thrilling strip cast in the image of Peter O'Donnell's Modesty Blaise, and trying to capitalize on its tremendous success. 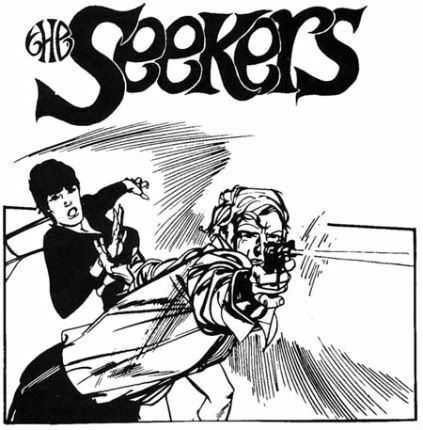 Writer Les Lilly and artist John Burns created a missing persons bureau called Seekers, run by Una Frost. The two main players for the stories was the lovely brunette Susanne Dove and the dashing blond Jacob Benedick, who were often assisted in their exploits by Duffy, for his needed underworld contacts. Drawn in a similar style to the late Jim Holdaway, Burns' always delivered solid and exciting visual images to complement Lilly's well written scripts that lead our heroes on numerous adventures over its five year run. 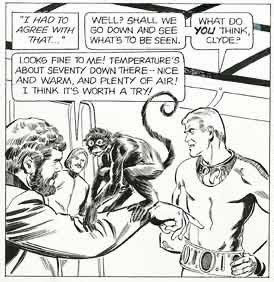 With no formal art training Burns became a fine illustrator, starting out as children's features before picking up the strips, developing his more edgy adult style and eventually drawing the story's inspiration, Modesty Blaise, years later. Jose Delbo has drawn for scores of American comic book companies since moving to the United States in the mid-sixties. Starting at Charlton Comics he worked on numerous Western and horror titles before joining Dell to illustrate their humor and TV related properties. With a stint at both Tower and Western Comics he drew various sci-fi and adventure books before joining DC for many rewarding years. 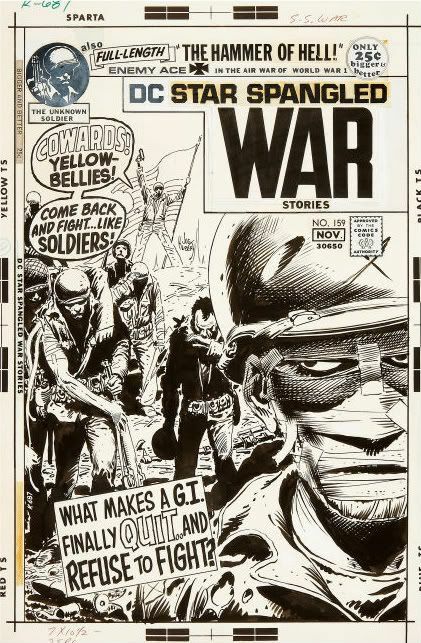 Jose's strong work ethic never allowed him to stop drawing, doing freelance for other independent publishers, Marvel Comics, and syndicated newspaper strips, before ending his career teaching at Joe Kubert's School of Cartooning and Graphic Arts. Here is his brief bio...Born in Bueno Aires, Argentina and at sixteen I started selling to comic book publishers throughout South America, moved to the United States in 1965, beginning with "Charlton" I sold to all the majors including "DC" and "Marvel", titles include, "Billy the Kid", "The Monkees", "The Lone Ranger", "Turok", "Yellow Submarine", "Wonder Woman", etc. Strip work includes "Superman" and "Phantom" dailies. All accomplished with the help of my wife Mabelle and my family! Joined the NCS in 1990 and was honored by being elected a vice president in 1995, not bad for a guy who talks funny!